The costs of Medicare are quickly rising and are likely to rise even more in the years ahead as more Baby Boomers are enrolled. It has many lawmakers and policymakers looking for ways to cut costs. Researchers at University of California San Diego School of Medicine have a suggestion: take a hard look at how Medicare Advantage plans are funded. The TV commercial for a chain of motorized wheelchair stores features a geriatric spokesmodel who exclaims, "I didn't pay a penny for my Scooter, Medicare paid it all!" If that was ever the case, things may be changing. A new law ends the first month purchase option for Medicare patients, as well as expansion of the competitive bidding process to provide equipment to Medicare recipients. Companies that make and market these high-tech chairs to Medicare patients see the change as a threat. Jay Broadbent, CEO of Salt Lake City-based Alpine Home Medical, noted that these changes are coming at a time when power mobility providers are already experiencing increasing government audits, delays in reimbursement payments, and reimbursement cuts of more than 35 percent over the last five years. "Providers are at the point where we can't endure any more financial pressure and continue to offer quality products and services to Medicare beneficiaries," said Broadbent. "There has to be a realization in Washington that the fallout from the competitive bidding fiasco and elimination of the first-month purchase option is going to have a major impact on Medicare beneficiaries. There simply are not going to be enough providers left standing to supply them with mobility equipment." By eliminating the option for the first-month purchase, the government plans to pay providers rental payments over the first 13 months that a patient has the equipment. But with credit tight in the sluggish economy, many providers say they can't obtain the lines of credits and loans they need to afford the upfront cost of purchasing power wheelchairs from manufacturers. The new law is scheduled to take effect on January 1, but providers are asking Congress to delay implementation for one year so they can have time to adjust their business models to account for the cash flow problems created by the new policy. Currently, Medicare will pay 80 percent of the Medicare-approved amount for a qualifying wheelchair, assuming you have met your Part B deductible and your doctor tells Medicare the wheel chair is medically necessary. The new law comes at a time when Medicare has been cracking down on fraud related to the purchase of power wheelchairs, which can cost thousands of dollars. Last month the Justice Department announced the guilty pleas of three people in connection with a Medicare fraud scheme operated out of a Houston-area durable medical equipment (DME) company. In their pleas, the defendants admitted that they were paid kickbacks in exchange for referring Medicare beneficiaries to the DME company, Luant & Odera Inc. Luant & Odera submitted false and fraudulent claims to Medicare for medically unnecessary DME, including power wheelchairs, wheelchair accessories, and motorized scooters. On its website, Medicare explains its concern with fraud, noting that most doctors, health care providers, suppliers, and private companies who work with Medicare are honest, but a few aren't. "For example, some suppliers of medical equipment try to cheat the Medicare Program by offering power wheelchairs and scooters to people who don't qualify for these items under Medicare," the agency says. "Medicare is trying harder than ever to find and prevent fraud and abuse by working more closely with health care providers, strengthening oversight, and launching a national program to review claims." In 2009 Medicare, the health insurance program for Americans 65 and older, spent $1.9 billion on 26 tests and procedures that studies have shown offer little or no health benefit. Harvard Medical School researchers analyzed Medicare claims data, focusing on the tests and procedures that had been identified as essentially useless. They found that a least one in four – 25% – of Medicare recipients received one or more of those services in 2009. Those 26 tests and procedures aren't the only identified as having little or no value. The researchers claim there are hundreds more. "We suspect this is just the tip of the iceberg," said study author J. Michael McWilliams, associate professor of health care policy. This is not the first alarm bell to go off over Medicare spending. Last year a Department of Health and Human Services (HHS) report found improper Medicare payments in Fiscal 2013 surged by nearly 19%, to just over $35 billion. In April The New York Times reported a small number of doctors raked in nearly a quarter of the $77 billion paid out in U.S. government health programs, including Medicare. The report said in 2010 just 100 doctors received a total of $610 million, including a Florida ophthalmologist who collected $21 million in Medicare payment. Researchers compiling this latest study say the numbers are shocking. "We were surprised that these wasteful services were so prevalent," said Aaron Schwartz, lead author of the Harvard study. "Even just looking at a fraction of wasteful services and using our narrowest definitions of waste, we found that one quarter of Medicare beneficiaries undergo procedures or tests that don't tend to help them get better." The commonly prescribed but ineffective services identified by the researchers include arthroscopic debridement for knee osteoarthritis and a form of back surgery that involves filling collapsed disks with cement. These services, the researchers claim, almost never provide any health benefit to patients. In fact, they claim they are almost always wasteful, pointing to recent empirical studies that have been conducted on the effectiveness of the procedures. Other procedures were identified as wasteful, even though they can provide significant benefits for patients under very specific circumstances. For example, lower back imaging provides little help for a patient with muscle soreness but it can be lifesaving when used to identify cancer or a spinal abscess. With hundreds of medical procedures to consider, the researchers zeroed in on 26 that would stand out using the kind of information available in Medicare claims data. Then they looked for examples of those services that were likely to be a waste of money. Waste was hard to isolate, they found, because the criteria used to measure it tends to vary widely. "How much waste you find varies greatly depending on how you define it,” Schwartz said. “Removed from the clinical details of a particular patient, it is hard to know whether a given procedure might be useful or not." But finding and eliminating waste in Medicare can be expected to get increased attention in coming months. According to AARP, the Affordable Care Act shifts Medicare's focus to keeping older people healthy. As a result, some coverages may be improved while procedures identified as wasteful or ineffective may no longer be covered, with the money diverted to other uses. The latest report from the Social Security Trustees Report assumes that for just the third time since the automatic adjustments were adopted in 1975, people who receive Social Security payments will not receive a cost-of-living-adjustment (COLA) in 2016. COLAs only kick in when the Consumer Price Index (CPI), the official gauge of inflation, goes up. The CPI is not expected to increase in the base period used to determine the COLA. 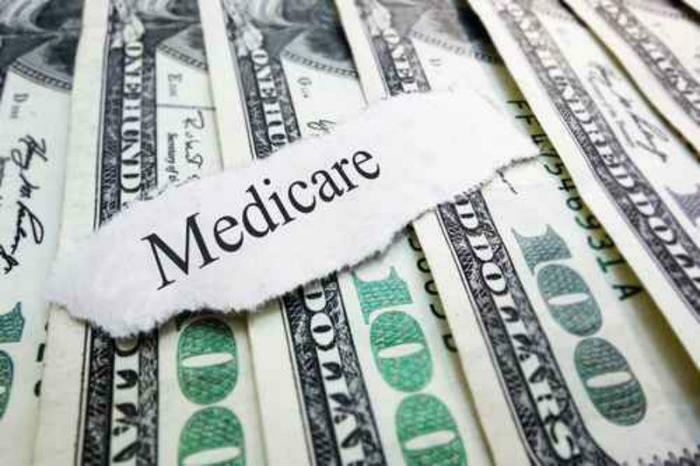 A report by the Center for Retirement Research at Boston College says this would have an unintended consequence that would sock some Medicare recipients with a significant Medicare premium hike. “The anticipated lack of a Social Security COLA will cause a flap in the Medicare program because, by law, the cost of higher Medicare Part B premiums cannot be passed on to most beneficiaries when they do not get a raise in their Social Security benefits,” the authors write. This unintended consequence also highlights the complicated interaction between Medicare premiums, which are generally deducted automatically from Social Security benefits, and the net benefit – the money available for non-health care expenditures. Medicare recipients are accustomed to paying more each year in premiums. The report finds that, barring any complicating factors, the premium would increase from $104.90 in 2015 to $120.70 for 2016. But here's the rub; the law contains a hold-harmless provision that limits the dollar increase in the premium to the dollar increase in an individual’s Social Security benefit. This provision applies to roughly 70% of Part B enrollees. They have nothing to worry about. The remaining 30% aren't covered by the hold-harmless provision. They include new enrollees during the year; enrollees who do not receive a Social Security benefit check; enrollees with high incomes (who are subject to the income-related premium adjustment), and dual Medicare-Medicaid beneficiaries - whose full premiums are paid by state Medicaid programs. Because 70% of Medicare recipients would see no increase in the absence of a Social Security COLA, the Part B premiums for the remaining 30% must be raised enough to offset the rising costs. For higher income participants, the premiums would rise even higher, based on multiples of $159.30. “Clearly, political pressure will build for some kind of work-around,” the report concludes. Now that the first Baby Boomers are turning 65 Medicare, the health benefit program for seniors, is set to feel a mighty strain, according to an analysis by a senior fellow at the Urban Institute. Eugene Steuerle, an Institute fellow and the Richard B. Fisher Chair at the nonpartisan institute, is also a former deputy assistant secretary of the Treasury. He says, while Social Security's woes get the most attention, Medicare is actually in much worse shape. The problem, he says, is that past and current retirees, and most working-age adults, will never pay for all their Medicare benefits. The government's Medicare costs now top three percentage points of GDP and are headed to above six percentage points of GDP by 2055. But Medicare taxes and escalating premiums cover ranges from about 51 to 58 percent over time. "To pay for the rest, we borrow from China and elsewhere, and use up ever-larger shares of income tax revenues, leaving ever-smaller shares for other government functions," Steuerle said. "Bottom line: without reform, current workers would continue to shunt many of their future Medicare costs onto younger generations, just as their parents did with Social Security." Both Medicare and Social Security are threatened by a rather positive development; people are living longer. But with that extended lifespan, come medical needs that simply haven't been paid for. But Medicare has an additional problem. Health care costs are exploding, must faster than the overall rate of inflation. Structured like much other health insurance, Medicare essentially lets us consumers deal with doctors over what someone else in our government or private insurance system will pay. "For years, numbers that Medicare actuaries and many others have been crunching have pointed to the system's unsustainability," Steuerle said. "Sadly, the lack of agreement on an alternative has led us and our elected representatives to blink when it comes to tackling this core structural problem." Not only does this current structure lead to more borrowing from abroad, Steuerle says it saddles future generations with most of the costs of cutting edge medical break-throughs. 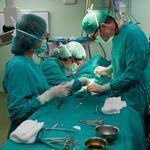 "A better type of hip replacement comes along. A new drug for congestive heart failure. A more effective treatment for prostate cancer. Sign me up," Steuerle said. But the benefits from these medical advances come at a steep price, and so far, says Steuerle, no one is paying it. The older among us are not required to work longer or pay for more than a minor share of these extra benefits. 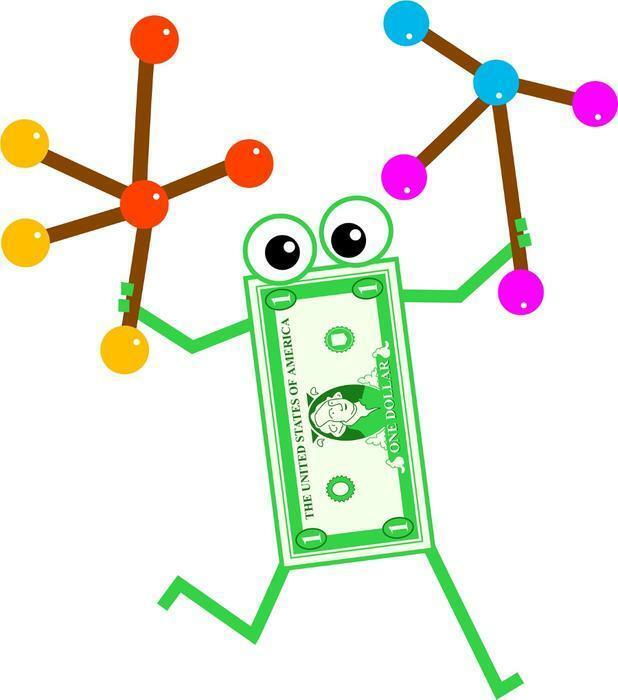 Providers, in turn, have come to expect ever-larger shares of national income as a reward for science's leaps. This is not an economic problem that leads to a political one, Steuerle says, but a political problem that threatens undesirable economic consequences. "Only political reform of how we make economic decisions -- addressing inconsistent promises for low taxes and high benefits that people have come to expect -- can move us away from a system where promised benefits supposedly rise forever faster than GDP and where future, not current, workers must be left to bear most of the costs and consequences," he said. Before you go under the knife for surgery, why not get a look at what it’s going to look like beforehand? Today, you can do that with Touch Surgery, an app that gives patients a virtual walk-through of the procedure they’re getting. 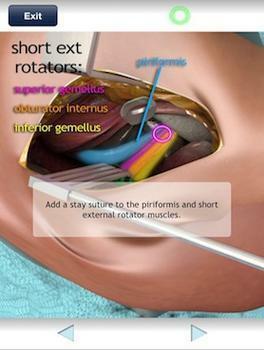 The app serves as a training tool for surgical students as well. Jean Nehme, who created the app with Andre Chow, Advait Gandhe and Sanjay Purkayastha, said it really allows patients to involve themselves with the details of the surgery, which in turn allows them to feel better about it. Furthermore, Touch Surgery lowers the wall of mystery that exists between many surgeons and patients and helps patients feel more secure about their procedure, since they’re able to see what’s being done. Although the virtual images may be graphic and disturbing for patients to see, Touch Surgery lets them get an idea of what the problem is and what needs to be fixed. Chow says he and his partners really wanted to bring patients into the hard-to-understand aspects of surgery and the best way to do that was by creating an interactive tool. Barrett Veldsman, a patient who underwent gallbladder surgery, said Touch Screen was the best way to understand his procedure, which he wasn’t able to understand when he went on the Internet to do research. “You look at Wikipedia, you read it, it goes in and you really don’t understand all the terminology, but this is so simple it relaxes you,” he told a media outlet. “With Touch Surgery we focused on the essence of surgical education and we combined it with new advances in consumer technology that allowed us to make something that’s mobile and interactive in a way that’s never been done before,” he said. But Touch Surgery just wasn’t made to educate patients on an upcoming surgery; it was made so surgeons have an easier and better way to teach their students. And having training that’s more thorough will allow those students to feel more confident about procedures and explain things to patients a lot clearer, say the creators of the app. “What the app has allowed trainees to do is to be much more prepared when they actually come to the operating room for the first time, so they understand the anatomy better,” Purkayastha said. 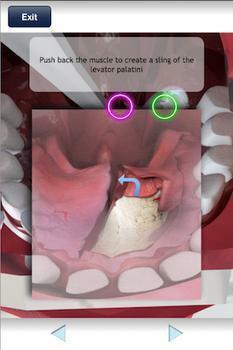 And for future surgeons, Touch Screen couldn’t be easier to use, its creators say. In order to perform mock surgeries, students simply have to swipe the screen or use a pair of virtual cutters to make incisions. The app doesn’t only teach the technical aspects of performing a surgery, but it helps surgeons learn how to be more decisive in the operating room and make better decisions. “There is a saying that decision is much more important than incision,” said Nehme. Touch Screen is available on iPhones and iPads and can be downloaded in the iTunes app store. Companies advertise in order to build brand awareness with consumers. When it's decision time, the company is hoping the consumer will pick its brand. That's how companies sell everything from beans to automobiles and yes, even health benefit policies. A study by HealthPocket, a company that rates health care policies, has completed a study of how individual policies stack up in the the government's Medicare plan quality star system. In particular, it focused on one well-known and widely-used branded Medicare Advantage program. “We found that plans bearing the AARP brand in the Medicare Advantage market on average fall short of the industry in two measures of plan quality,” the study said. More than 14 million Americans have Medicare Advantage plans, which supplement coverage under traditional Medicare. The plans are growing in popularity compared to traditional Medicare, and consumers who choose Medicare Advantage coverage have a variety of plan options to compare before making a final decision. According to HealthPocket, consumers usually base their choices on multiple factors, including premium cost and finding their physician in a plan network. The Medicare plan quality star rating system ranks plans by assigning them a number of stars. Out of five possible stars, HealthPocket says 85 percent of AARP's plans fell into the 3.0-3.5 range, with 8.7 percent in the 4.0 range and no plans achieving an excellent 4.5 or 5.0 score. At the same time, 31 percent of non-AARP plans achieved a score of 4.0 or higher. Sheila, of Boynton Beach, Fla., signed up with AARP's United Healthcare Medicare Advantage and finds the requirement of pre-authorization for drug approval, which can take up to 72 hours, doesn't work well in her case. Bill, of Livonia, Mich., says his doctor hates his AARP policy and he is coming to share that view. According to the HealthPocket study, the highest-performing competitors were nonprofit health plans, including Kaiser; Gunderson Lutheran Health System; Baystate Health; and HealthPartners, Inc. Certain for-profit plans also had higher average contract scores than AARP, including Humana and Aetna, the report said. "Having health plan options can save money and improve quality of care, but it can also make decisions tough for consumers," said Steve Zaleznick, Executive Director for Consumer Strategy and Development at HealthPocket. "While going with a well-known brand can bring peace of mind, consumers also have tools they can use to help weigh costs and quality objectively, including for plans with less familiar names." The Medicare plan star-rating system is a tool consumers can use to compare plans. The rating provides a one to five – actual results start at two stars -- scoring system for Medicare Advantage Plans. The overall rating reflects treatment, preventive care, and customer satisfaction collected on the Medicare Advantage plan. For consumers with Medicare Advantage, the 2015 open enrollment period starts October 15 and extends through December 7, 2014. If you want to make changes to your plan, that's your window of opportunity. 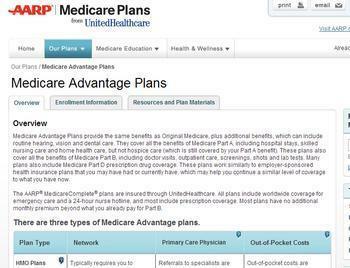 Medicare Advantage is a type of Medicare health plan purchased through a private company that contracts with Medicare to provide Part A and Part B benefits. Medicare Advantage Plans include Health Maintenance Organizations, Preferred Provider Organizations, Private Fee-for-Service Plans, Special Needs Plans, and Medicare Medical Savings Account Plans. Being enrolled in a Medicare Advantage Plan means your Medicare services are covered and paid for outside of Original Medicare. Most Medicare Advantage Plans also offer prescription drug coverage. Just before open enrollment the companies that operate the various Medicare prescription drug and Advantage plans will inform you of any changes for the coming year. You can decide to stick with the plan you have or shop around for another. What should you be on the lookout for? If you have a prescription drug plan, the premiums and co-pays you pay can change. That information should be contained in the Annual Notification of Change you will receive by the end of September. 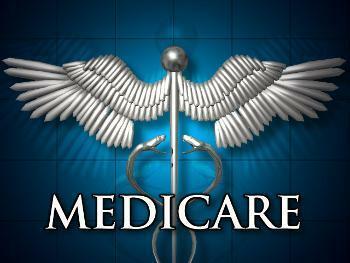 Medicare Advantage plans themselves can also be subject to change. You might see an increase in co-pays for doctor's visits and outpatient services. There could also be an increase in out of pocket maximum payments. Besides changes in costs, there could be changes that require you to go looking for a new health care provider if you keep your current plan. “In the last few years more doctors, and even some hospitals, have been dropping some of the Medicare Advantage plans that they accept,” Brandon Ritchey, an owner of Medicare Health Plans, a health insurance company in Overland Park, Kan., told ConsumerAffairs. Ritchey's company sells Medicare Advantage policies in Kansas and Missouri and Medigap supplemental policies nationwide online. Ritchey says Medicare recipients should be prepared for changes in their policies this year. His company advises that, due to shrinking doctor reimbursement rates, the pool of doctors who accept Medicare is also shrinking in many areas. Early indications suggest that in many areas plans are increasing their premium and copays and some of the zero premium plans may have to begin charging a monthly premium. Living in an area with fewer Medicare eligible consumers may produce the most drastic changes, including the removal of some plans altogether. 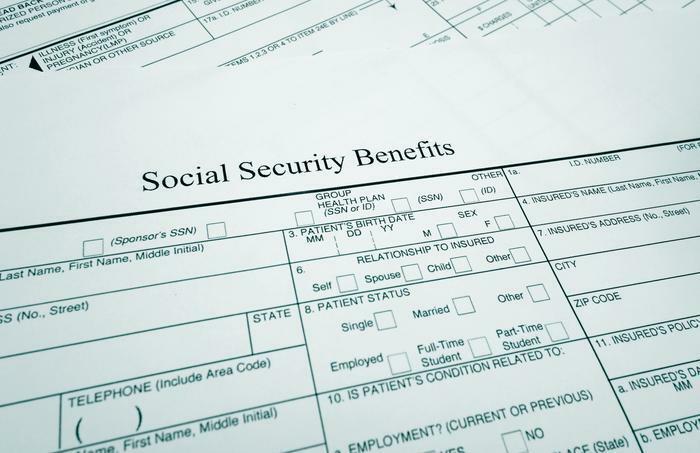 People who receive monthly Social Security benefits will find a little more in their checks in 2015. The Social Security Administration says monthly Social Security and Supplemental Security Income (SSI) benefits for nearly 64 million people will increase by 1.7% in 2015 the coming year. The cost-of-living adjustment (COLA), which works out to about $22 per month, will begin with benefits that more than 58 million Social Security beneficiaries receive in January 2015. Increased payments to more than 8 million SSI beneficiaries will begin on December 31, 2014. The Social Security Act ties the annual COLA to the increase in the Consumer Price Index as determined by the Bureau of Labor Statistics. Some other changes that take effect in January of each year are based on the increase in average wages. Based on that increase, the maximum amount of earnings subject to the Social Security tax (taxable maximum) will increase to $118,500 from $117,000. The bump in benefits is not the only good news for seniors. The premium of $104.90 that most people pay each month for Medicare Part B won’t change in 2015. Nor will the Part B deductible of $147 per year. At the same time, the government says that if your modified adjusted gross income as reported on your IRS tax return from 2 years ago is above a certain amount, you may pay more. 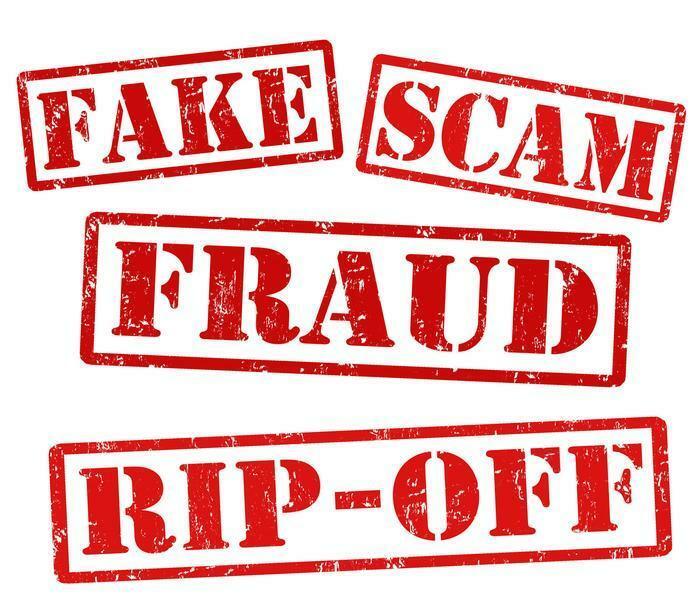 The Federal Trade Commission (FTC) has reached settlements with a group of scammers who falsely promised consumers new Medicare cards in order to obtain their bank account numbers and debit their accounts. The settlements, resolving charges the FTC filed last year against Benjamin Todd Workman and Glenn Erikson and their companies, ban the schemers from selling healthcare-related products and services. Telemarketers falsely told consumers they needed their bank account numbers to verify their identities before sending a new Medicare card, promising they would not take money from the accounts. In fact, they took several hundred dollars from each consumer’s account and provided nothing in return. In some cases, the telemarketers falsely promised to provide consumers with identity theft protection services. Under the settlement orders, the defendants also are banned from selling identity theft protection-related products and creating or depositing remotely created checks or remotely created payment orders, which are used to make bank account debits. They also are prohibited from billing or charging consumers without their consent, misrepresenting material facts about any product or service, violating the Telemarketing Sales Rule, and selling or otherwise benefiting from customers’ personal information. The orders impose a judgment of more than $1.4 million, which will be suspended upon payment of $35,000 by Workman and the surrender of certain bank accounts. In each case, the full judgment will become due immediately if either defendant is found to have misrepresented his financial condition. The defendants are Workman, Sun Bright Ventures LLC and Citadel ID Pro LLC, and Erickson and Trident Consulting Partners LLC. When you celebrate your 65th birthday, it's a transition to your “golden years.” Even if you're still working, you start thinking about the days when you won't be. And even if you are still on the job, age 65 marks the time when you transition from private health insurance – if you are fortunate enough to have it – to Medicare, the government's health program for seniors. As with any government program, Medicare can be confusing for those who are new to it. To help with the transition, AARP's Medicare expert, Patricia Barry, is out with the second edition of her book, Medicare For Dummies. It's offered as a comprehensive guide for navigating Medicare’s often-confusing complexities and helps consumers avoid mistakes that could be costly. Barry outlines what Medicare covers and what beneficiaries pay, offering some tips along the way for reducing out-of-pocket costs. The book also provides some of the basics, including how the program is broken down. Medicare Part A is the hospitalization portion of Medicare, covering you when you are admitted to the hospital. According to Medicare, you usually don't pay a monthly premium for Medicare Part A coverage if you or your spouse paid Medicare taxes while working. This is sometimes called "premium-free Part A." Medicare Part B works like normal health insurance, covering doctor's visits and routine health care. Most people pay the Part B premium of $104.90 each month, if you sign up for Part B when you're first eligible. You pay $147 per year for your Part B deductible. After your deductible is met, you typically pay 20% of the Medicare-approved amount for most doctor services, outpatient therapy, and durable medical equipment. Costs for higher income beneficiaries may be higher. Medicare Part D is the program's prescription drug coverage, which is optional. Many beneficiaries who are healthy and not taking medication often decline this coverage. However, the coverage becomes increasingly expensive for each additional year you wait. If you were to develop a serious illness at age 70, the Part D premiums would be much higher than if you obtained it at age 65. Medicare doesn't cover all of your medical costs – only about 80%. That's why many recipients purchase a “supplemental” policy that covers the other 20%. Complicated? Sure. In her book, Barry offers readers advice to get the most from the program while avoiding the pitfalls. Her advice in a nutshell? Sign up at the right time to avoid lifelong penalties. It's that time of year again. If you are on Medicare, or are newly eligible, the annual open enrollment period to select or change coverage starts October 15 and runs through December 7. For starters, you need to review your current plan to make sure it continues to meet your needs. Also, the plan itself might have changed. If so, you may already have received a notice. Starting this month you should use Medicare’s Plan Finder to search for a plan that meets your needs. October 15 is the first day you can change your Medicare coverage for next year. On December 7, that window closes. Coverage for the year begins January 1 if you switched to a new plan. If you stay with the same plan, any changes to coverage, benefits, or costs for the new year will also take effect on that date. If you’re in a Medicare Advantage Plan, you can leave your plan and switch to Original Medicare. If you switch to Original Medicare, you’ll have until February 14 to also join a Medicare Prescription Drug Plan to add drug coverage. Your coverage will begin the first day of the month after the plan gets your enrollment form. In certain cases, you may be able to make other changes if you qualify for a Special Enrollment Period. New to Medicare? Here are some basic things you need to know: Medicare plans are divided into parts. Part B is more like regular health insurance, covering doctor visits, preventive care, outpatient care, and hospital visits. Premiums are based on income and are deducted from your Social Security payments if you are receiving benefits. In 2015, Part B cost $104.90 a month for Medicare beneficiaries whose incomes are $85,000 a year or less – $170,000 for a couple – and up to $335.70 for those whose annual income is greater than $214,000. Part C is what is known as a Medicare Advantage plan. It combines parts A and B and, in most cases, Part D, the drug plan. Premiums vary by location and coverage. According to the Centers for Medicare & Medicaid Services, the average premium in 2016 will be $32.60. Advantage plans often limit where beneficiaries can get their care. Part D covers prescription drugs, with premiums of $15 to $50 per month. It isn't required, but here's something to keep in mind; it's cheaper to enroll when you begin Medicare, instead of waiting until you are older. Still have questions? AARP has a handy Medicare Question & Answer Tool. You can also visit Medicare.gov, or call 1-800-MEDICARE (1-800-633-4227) to learn more. It's not just the holidays that are on the horizon, but the Medicare enrollment season. Medicare's open enrollment is from November 15 to December 31, and scammers are poised to take advantage of it. One reason is the new complexity of the process. Because of the new health care law, there will be many more coverage options, requiring choices by current retirees and the first wave of newly eligible baby boomers. "While Medicare undoubtedly offers Ohioans many beneficial options, we anticipate that this year's enrollment period will bring about a new wave of scams," said Ohio Attorney General Richard Cordray. "Scam artists will attempt to use the new healthcare reform law to confuse seniors who are not familiar with the system. So far this year, my office has received more than 60 reports of Medicare-related scams, and we expect the number to climb as the enrollment period approaches." If you're on Medicare, you could be the target of a stranger trying to gain access to your personal information. Complaints filed with Cordray's office already describe unsolicited callers requesting personal information such as Social Security numbers and checking account information as well as Medicare ID numbers, which sometimes mirror the policyholder's Social Security number. This trend mirrors data collected by Cincinnati-based Pro Seniors Inc., a nonprofit that provides legal guidance to older Ohioans. Cordray warns that scammers will also use high-pressure sales tactics and claim that seniors must re-enroll in Medicare in order to claim their benefits. Also, some seniors may hear a sales pitch that offers special, limited-time offers or phony add-on discount prescription drug plans, he said. Never provide any personal information over the phone if you are unsure about who is requesting the information. Hang up on callers that pressure you for personal information or request that you enroll in a Medicare product over the phone. It's shrewd to be rude! Always review your quarterly Medicare Summary Notice to determine possible fraud or errors. Critics lost no time attacking the Centers for Medicare & Medicaid Services' newly announced Medicare Advantage (formerly Medicare + Choice) payment rates for 2005. "The Medicare Rights Center's analysis shows that the Administration is on track to subsidize private insurance companies with $83 billion in overpayments over the next ten years. The $83 billion is the excess payments above what it would cost Original Medicare to provide coverage to the same targeted populations," said Robert Robert M. Hayes, president of the Medicare Rights Center. Medicare managed care plans will receive a 6.6% increase in payments in 2005 -- an additional $1.3 billion in payments over two years, when coupled with the 10.3% increase in 2004. 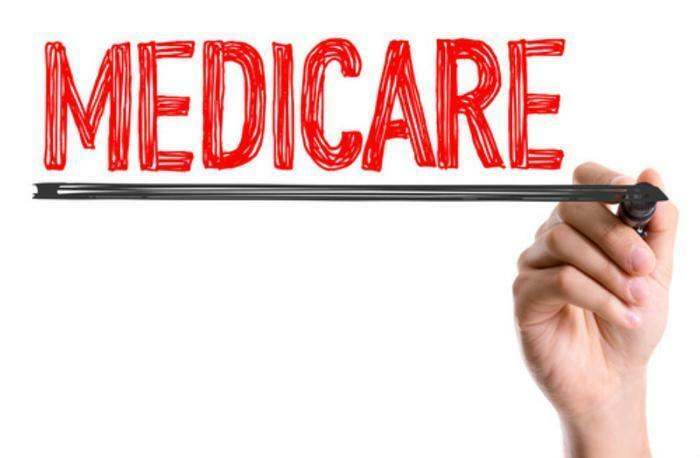 An April report by the Medicare Payment Advisory Commission revealed that the government was paying 7% more to Medicare managed care plans than costs for treating beneficiaries in traditional Medicare. In some cases, payments exceeded traditional Medicare expenses by more than 20%. "Medicare Advantage offers more comprehensive benefits at a lower cost for Medicare beneficiaries, leading to lower costs for our health care system," Health and Human Services Secretary Tommy G. Thompson said. "It's no wonder that millions of beneficiaries, particularly those with limited means and no access to subsidized Medigap coverage, depend on these plans. They struggle the most to pay for their medical needs, and they need our help in getting reliable, affordable health care options now more than ever," Thompson said. But critics said the higher rates accomplish nothing more than increasing insurance companies' profits. "It is senseless to continue extravagant over-payments to the for-profit insurance industry. It is absurd to defend these overpayments on the ground that private plans are more cost-effective than Original Medicare," Hayes said. "Seniors worry how to pay for their drugs, while HMOs continue to reap financial rewards," said Ruben Burks, secretary-treasurer of the Alliance for Retired Americans. "Increasing payments to HMOs to lure seniors will undermine traditional Medicare. This shameless corporate giveaway comes at the expense of America's seniors and they deserve better." Only 10% of Medicare's 41 million beneficiaries are enrolled in managed care plans. But Medicare officials hope the increased payments will encourage Medicare's managed care plans to maintain and expand their services, particularly since the 2003 Medicare prescription drug legislation requires a larger role for private insurance companies in Medicare. "The new funding is expected to help ensure that Medicare beneficiaries who count on Medicare Advantage plans will have reliable access to the additional benefits and significantly lower out-of-pocket costs typically provided by these plans," CMS said in releasing the payment rates. CMS also issued a report showing the impact of Medicare Advantage plans in Medicare and the plans impact on Medicare beneficiaries. The report claims that beneficiaries in Medicare Advantage spend, on average, 34 percent less than beneficiaries in traditional fee-for-service Medicare.